The biggest football game of the year is coming up soon, and most social media platforms are abuzz with party planning tips, recipes, and ways to make your Super Bowl event the most epic experience ever. While there is certainly some nostalgia in hosting a party in your home, the perks of outsourcing to an event venue are numerous. Here’s why you should consider giving your big game plans to the pros who really know how to party in style. How many people can you fit in your living room? Filling your space to max capacity doesn’t exactly bode well for a party where people will be passing around snacks and drinks while jockeying for a good viewing position. With a venue hosting your party, you can invite everyone on your ideal guest list, even those with children. Give guests room to socialize, eat, and watch the game, without worrying that you left someone important off of the invite list. Plus, venues are specifically designed to provide an inclusive experience for everyone in your life — regardless of your home’s square footage or layout. 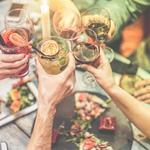 Let’s face it: Hosting a party can be exhausting, and the preparation and cleanup involved can kill any satisfaction you get from being the host with the most. Add in the responsibilities of making sure there’s enough toilet paper in the bathrooms and guests don’t fiddle with HVAC, and you’ve committed yourself to a full-time job — one that doesn’t leave much time for you to watch even a moment of game time. By giving the big jobs to an event center, you’re much more likely to use the party as a chance to catch up with loved once, enjoy some snacks, and cheer on your favorite team. Most people throw Super Bowl parties to make memories, something you’re in a better position to do with someone else sweating the small stuff. Venue Pick: Got a guest list in the hundreds? 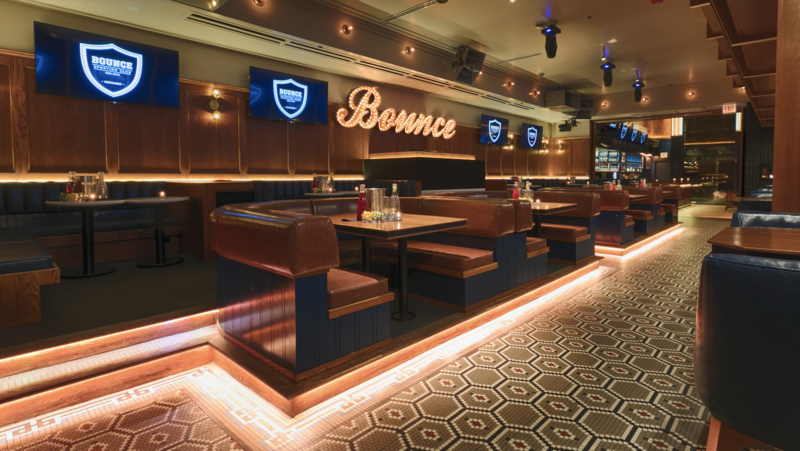 Bounce Sporting Club in Chicago, which calls itself a “grown-up sports club,” is a 6,000 square foot venue that can hold up to 600 guests, making it the perfect place for such a big get-together. If your gluten-free friend also has a peanut allergy, there’s quite a bit of pressure to get the snack menu right. Throw in a few requirements to keep some low-sugar snacks on hand, and it’s now gotten complicated. Event venues handle those special requests every day as part of their full menu of offerings to provide outstanding food and drink services. They get the recipes — and you don’t have to worry about appeasing individual palates. They worry about labeling food and ensuring that your guests know what’s safe for a nut-allergy and what’s not. In short, you can skip combing Pinterest for vegan-friendly dishes that have incredible flavor; the venue has you covered. Look for all-season spaces. Indoor amenities are nice, but if you live in an area with warmer weather, don’t neglect what the outdoors can offer. Even those locations in cooler climates should work with you to make the best use of the fresh air with covered spaces, canopies, and patio warmers. Don’t forget the screen. It’s a football party, after all, so keep your search limited to those venues that offer larger-than-life televisions, projectors, and sound systems (usually indicated by the “media room” and “A/V tech” filters). You’ll want your guests to feel like they are up close and personal to the coaches and players, something that can easily be done at a tech-connected venue. 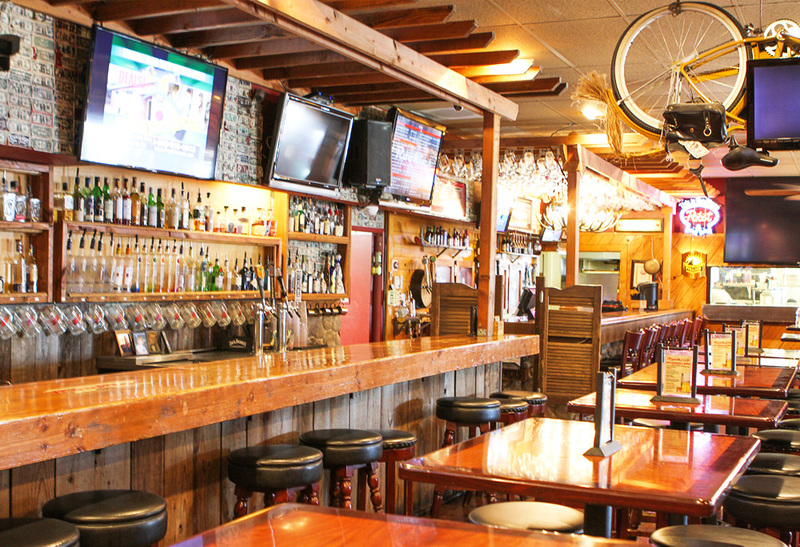 Venue Pick: With a private event space dubbed The Tailgate Room, it’s probably no surprise that Rookies Sports Lodge in San Jose, California’s Willow Glen is a prime spot for Super Bowl viewing. You and 40-plus attendees can catch the game on a massive 73-inch big screen while enjoying a full bar and plenty of good eats. Wi-Fi for everyone. Social media has changed the face of sports – and social events. Make sure your venue has protected wireless internet for guests to share updates and tweet about their favorite plays without fear of using up their data plans. Venue Pick: Boasting signature wings, views of the San Francisco Bay, and room for up to 400 guests, Player's Sports Grill, Arcade & Luau Lounge in San Francisco has you covered for the big game. Depending on party size, you can choose from their Sports Grill, Club House, or Patio rooms, all of which allow for plenty of TV viewing while you dine. What’s better than an open bar? Not much, according to most guests. Football has always had a rich tradition of adult beverages and the comradery that comes with toasting your favorite team. By providing an open bar, you can ensure that guests will truly feel special. Plus, you’ll avoid that awkward moment that comes when no one has the correct change for their next drink. These are just a few of the must-have amenities that a venue should have, but personal preference varies. To ensure that your search for the best location only includes those spaces that meet your standards, use a search engine like EVENTup to sort by location, features, size, and more. You can filter out the noise of event locations that don’t fit the bill before you ever start making calls or visiting in person. 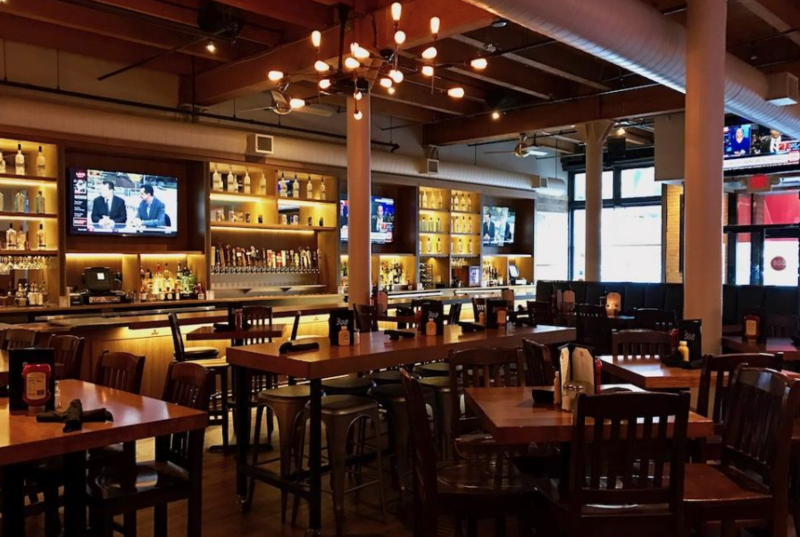 Venue Pick: Choosing a bar atmosphere for your Super Bowl party just makes sense, and locations like 508 Bar + Restaurant in Minneapolis are ready to help you make your event a welcoming experience. 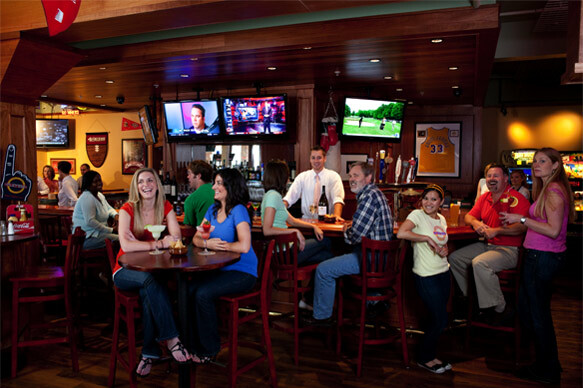 Enjoy comfort foods, top-shelf liquor, and all the amenities of your favorite night out with friends. + Do you have a menu for special diets? If not, is outside catering allowed? + How long is alcohol served? Can outside specialty drinks (signature wine, etc.) be brought inside the venue? + What is your reservation window, and what’s the cancellation policy? + Will other parties be held at the event at the same time? What are the policies for on-street parking and shared amenities? + How many people does the room or space accommodate? Can furniture and décor be moved to suit our needs? These are just a few of the important details you want to get settled before you book. Remember that EVENTup has many of these questions answered for you in each of their approved venue profiles. Are you ready to kick-off your Super Bowl party with a team of professionals to help? You no longer have to agonize over every little detail of your event. By choosing an outside venue for your get-together, you are creating a winning formula for the best party ever.